I am a native of New York City: I was raised in the Kingsbridge section of the northwest Bronx. I am one of the very few members of a veterinary faculty who can truthfully say that the first cow I ever saw was in the Bronx Zoo. 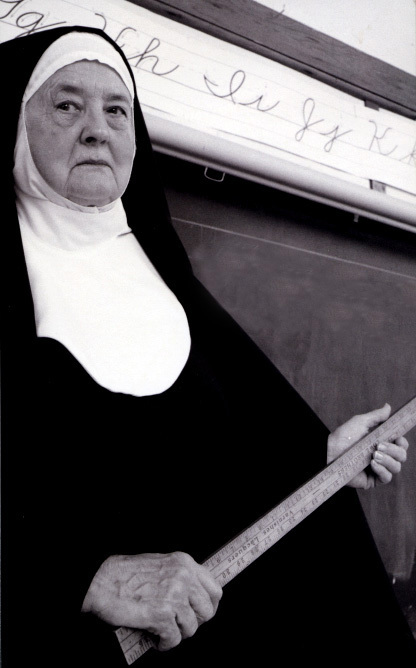 At the age of 6 I began serving a sentence of 8 years at the Elizabeth Seton Academy, a Catholic grammar school. Today I attribute my ability to spell, and some really interesting scars, to the nuns who taught there. Anyone who went to a Catholic school in the 1950's knows what I'm talking about. Read John Powers' books "The Last Catholic In America" or "Do Patent Leather Shoes Really Reflect Up" for some taste of what it was like. Incidentally, the 2008 movie "Doubt" starring Meryl Streep was filmed at the actual school I attended: and no matter how nasty she was in the film, Streep's character wasn't even a pale shade of the Real Thing. There are bars in South Yonkers where if you let it be known you attended Elizabeth Seton when Sister Marguerite was the Principal, all your drinks are on the house. In 1961 I managed to cut through the barbed wire, avoid recapture, and make my escape into the New York City public school system, by enrolling in the Bronx High School of Science during the glory years. I graduated as a National Merit Scholarship Finalist, and a recipient of a New York State Regents Scholarship, much to everyone's surprise, especially my own. From 1965 to 1969 I attended Kenyon College, a small liberal arts men's school in Ohio, majoring in biology with emphasis on ecology and structural biology. Upon being shoved out the door in 1969 with an A.B. degree in Biology (not, if you please, a B.A. or B.S. because Kenyon didn't award those) and a minor in English, I entered into a hiatus in my education, by enlisting in the United States Air Force at the request of my Uncle Sam. Like the rest of those who only stand and wait, I served; and in return for military service received two minor decorations, a 10-point Civil Service preference, five years of G.I. Bill support for graduate school, and a Veterans' Administration mortgage on my house. Upon separation from the Air Force in 1974 I resumed my studies as a "non-traditional" graduate student in the Department of Biology at Georgetown University, where he was lucky enough to become a student of Dr. George B. Chapman, one of the early pioneers in electron microscopy. I received my Ph.D. in Biology in May 1980, and then had finally to go find a real job. While in graduate school I worked for the Occupational Safety and Health Administration, and eventually transferred to become one of the first employees of the FDA's Bureau of Medical Devices and Diagnostic Products. In 1980, tired of banging my head against the wall of Bureaucracy, I turned my back on Federal Civil Service and returned to an academic career. I spent two years as an American Heart Association Postdoctoral Research Fellow at the George Washington University College of Medicine, leaving there in 1982 to teach briefly at Prince Georges County (MD) Community College. At PGCC I had two kinds of student: the Quick and the Dead; but it was a decent baptism of fire for the classroom. With this scalp on my belt I moved into the major leagues in late 1982: a full-time tenure track faculty position at Texas A&M University's College of Veterinary Medicine. However, I fled the Lone Star State in April 1987 to take up a position at the Virginia/Maryland Regional College of Veterinary Medicine. In 2006, Virginia tech entered into a collaborative agreement with the Carilion Health Care system to open a brand new medical school. I was interested in this because it was to be a "problem based learning" school with small classes and lots of faculty/student interaction. I had no experience with PBL and wanted to try it out, and I ended up as Founding Faculty in the Virginia Tech/Carilion School of Medicine. I had the responsibility of developing their histology curriculum, and for establishing their Virtual Microscopy teaching program. I also spent four years on the VTCSOM Admissions Committee. I left the VMRCVM in December of 2015, but am still on the faculty at the VTCSOM as an Associate Professor of Basic Sciences. My principal responsibility at all these institutions has been teaching in the first-year programs for DVM and MD students. In fact I have been teaching histology since the mid 1970's, when I was in graduate school: I was Dr Chapman's Teaching Assistant for four years. Along the way I've also taught Physiology, elective courses in marine mammal biomedicine and capture/restraint techniques, and graduate courses in electron microscopy and membrane biology. I've supervised independent-study projects for MS and Ph.D. graduate students and was the Major Professor for seven of my own graduate students: six for a PhD and one for an MS. 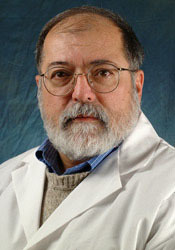 I was the Director of the VMRCVM's Morphology Research Laboratory for 28 years and still have a strong interest in the technical aspects of microscopy. I have been active in international education, as a Visiting Foreign Faculty member at three Egyptian universities. In 1998 I was a Fulbright Scholar in India, lecturing in Comparative Physiology at Mangalore University, and developing teaching software for the International College of Health Sciences in Manipal. My work has also taken me to Jordan and a number of other countries. I'll say this much for Academia: you get to travel, and if you can present a poster or a talk, it will be on someone else's money. I'm an anatomist, electron microscopist, and aquatic-animal biologist with a long-standing interest in structure-function relationships. In mid-1989 my research group succeeded in developing a synthetic antifreeze protein with enhanced activity, and we were granted two US Patents (#5,932,697 & #5,925,540 ). Back in my heyday my activity earned a Smith-Kline Beecham Award for Excellence and was the subject of articles in many national media outlets. I even had my two minutes of Fame on the Discovery Channel for the antifreeze project. All the attention led me to realize that self-confidence is the warm glow you feel when you realize that, so far, nobody suspects anything. I have a number of "outside" interests, mainly in history. My personal hobbies include outdoors sports, especially hunting, fishing, and gun collecting: I write for a number of outdoors publications, including the annual Gun Digest, and maintain a web site about these interests. I've been on three African safaris, and would love to do another. My wife Susan and I live in Blacksburg with several extremely spoiled dogs, because, as he explains, "A spoiled dog is a better watchdog: he has more to lose." I plan to leave Blacksburg when they carry my ashes out in a box, and even then I'm not going any farther than Westview Cemetery on Harding Avenue.